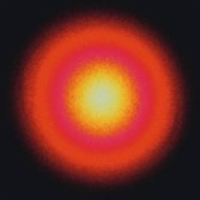 Most laser sources from PicoQuant provide a collimated output beam*. 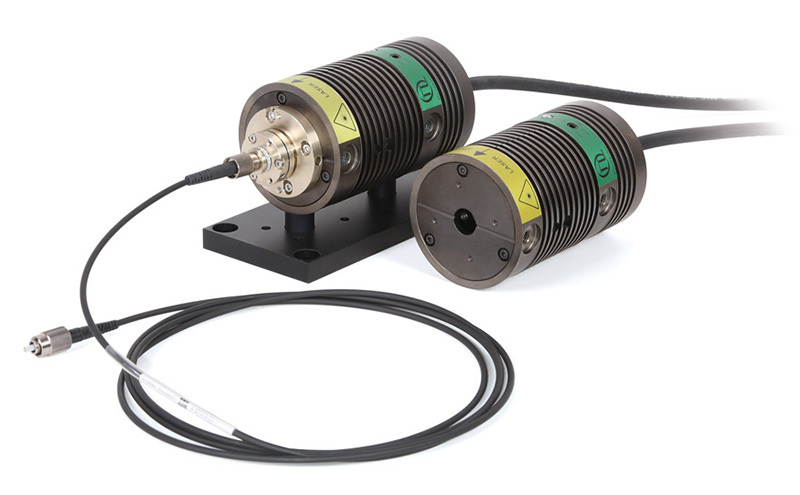 This includes the laser heads of the LDH/LDH-FA and LDH-IX series and the high-power and UV lasers of the VisIR and VisUV series. All these can be optionally coupled into a variety of optical fibers (multi-mode, single mode, or polarization maintaining single mode) via different connector types. 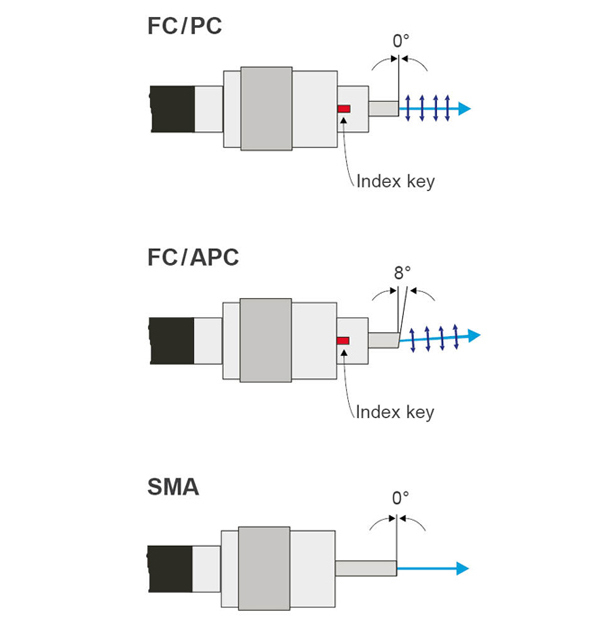 We recommend FC/APC connectors for most applications, since they prevent back reflections that can interfere with laser stability. Coupling the laser beam into a fiber is useful to transport the beam light in a safe manner. But besides the prosaic function of light transportation, fiber coupling has the added benefit of improving the beam quality. For example, the typically elliptical beam shape of a collimated laser diode gets circularized into a round beam at the output of the fiber. Furthermore, coupling the light beam into a single mode fiber or a polarization maintaining single mode fiber even permits to filter out all side modes of the diode in order to obtain a not only circular but also near TEMoo, gaussian distribution of the beam profile. 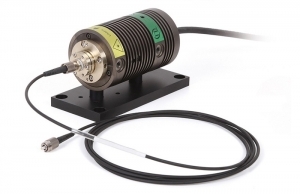 In fact, for confocal micoscopy setups, the coupling of a laser diode head into a polarization maintaining single mode fiber is nearly a must. Note that fiber coupling does always lead to a loss in optical output power. The typical coupling efficiencies for elliptical laser diode beam shapes is 40 % for single mode and 80 % for multi-mode. The typical coupling efficiencies for fiber amplified laser beam shapes is 60% for single mode and 80 % for multi-mode in the visible/NIR range. At 355 nm the coupling efficiency in a single mode is typically of 50 %. Below 350 nm no fiber coupling is offered at the moment. A collimator at the fiber output can also be provided upon request. 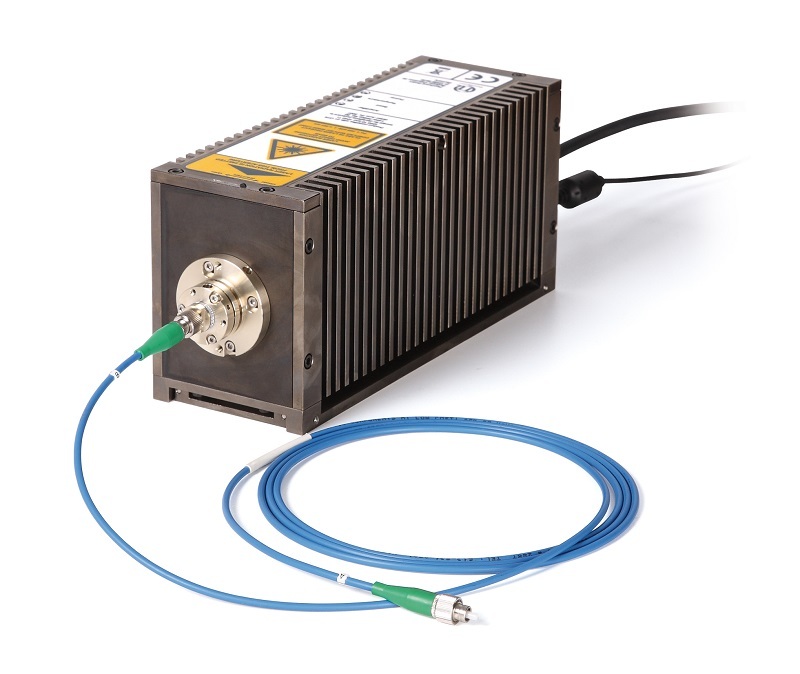 * Exceptions are made for a few butterfly-diode-based laser heads with a FC/APC receptacle as output (e.g., LDH-P-F-1030), or some lasers with a fixed output fiber as standard such as the LDH-P-FA-530B laser. < 350 nm: no fiber coupling! Laser diode heads from the LDH or LDH-I Series emit a collimated beam with an elliptical shape with typical dimensions of 1.5 × 3.5 mm When coupled into a multi-mode fiber, the beam shape at the fiber exit is nearly circular. 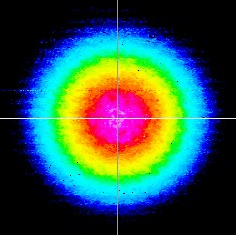 The beam also displays a speckle pattern due to interference of multiple modes inside the fiber. Coupling a beam into a single mode fiber will change the beam shape at the fiber exit into a nice gaussian beam profile as only one mode is transmitted within the fiber. 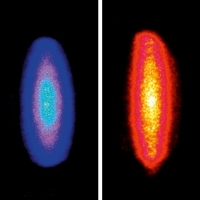 The fiber amplified sources (LDH-FA, VisUV, VisIR) have mostly circular beam shapes with various beam diameters. FC/APC connectors are recommended for the majority of applications. 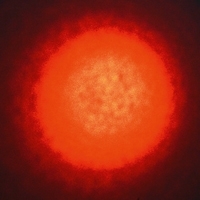 The end of this fiber is cut by 8°, which minimizes backreflections into the fiber that might interfere with the laser stability. This connector is therefore always used at the laser head and preferably as well at the output of the fiber. FC/PC connectors have a flat output end. They might be necessary at the output of the fiber, if it needs to be connected to a device that also has a FC/PC connector. In such cases one should take care that the optical path of a possible back reflected pulse does not match the selelcted pulse period. 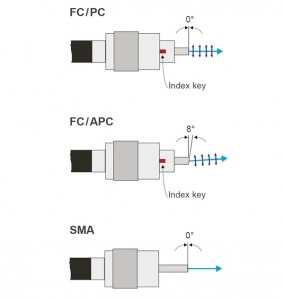 SMA connectors are only suited for multi mode fibers due to their limited fixation accuracy. They have a flat output end.